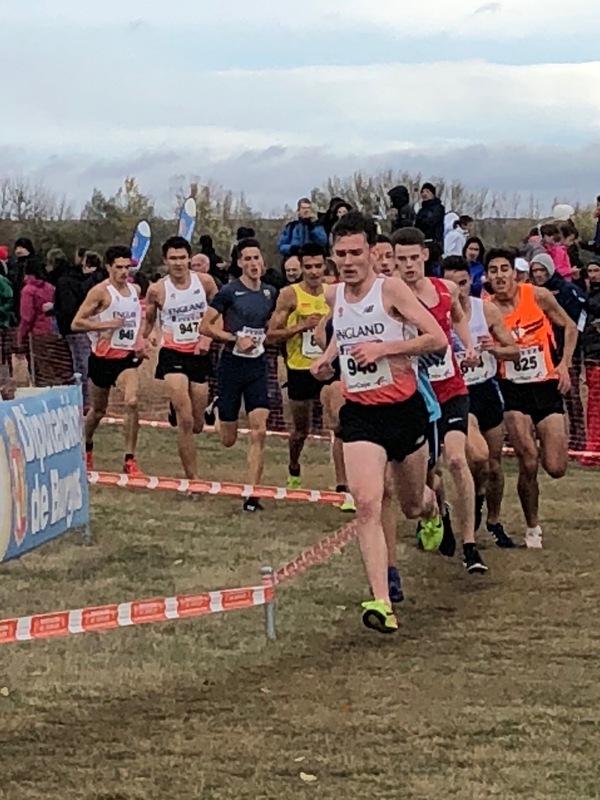 Taking part in the high class Atapuerca International Cross Country in Burgos, Spain on Sunday 11 November, athletes from England had to work hard in their races. This early season event always attracts top athletes from Ethiopia, Kenya and Countries around Europe, however Home Country athletes held their own with a string of good performances. Top placing went to Rory Leonard in the Under 20 Men’s race. Rory took 2nd after a close encounter with Jake Heyward of Wales, Leonard finishing 8 secs behind Heyward in 18.25. Other England athletes in action were Connor Bentley 12th with 18.47, Thomas Keen 22nd in 19.09 the same time as Benjamin West 24th. 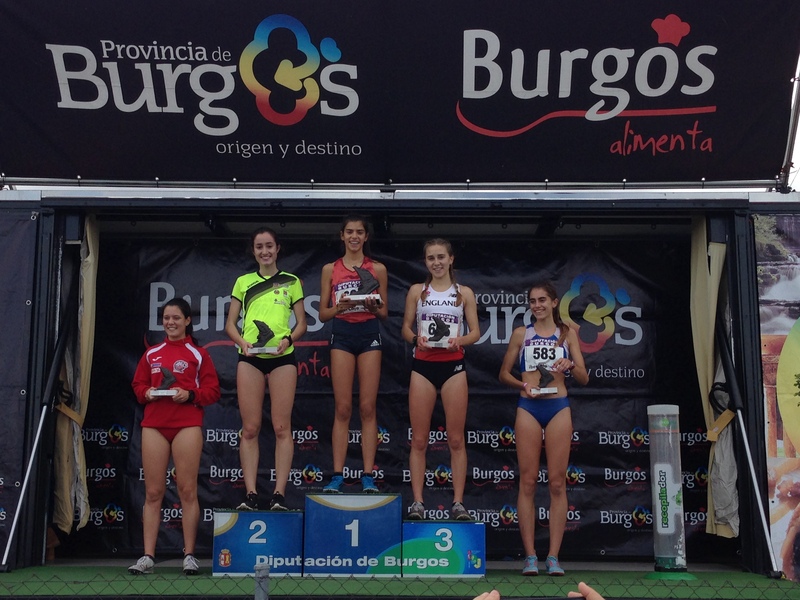 Three seconds covered the first 3 in the Under 20 Women’s race with Portugal’s Mariana Machedo winning in 13.36. England’s Zoe Wassell came home 3rd in 13.38 while a further 10 secs back came Grace Brock in 6th spot. Ella McNiven was next home for England in 22nd with 14.54 while Jessica Mitchell was 52nd with 15.42. The senior races were always going to be tough and so they proved. First British runner home in the Senior Women’s event turned out to be Charlotte Arter, 9th in 26.47 while English Team runners were 15th Nicol Taylor 27.36. 26th Lydia Turner 28.08, 29th Eleanor Davis 28.20 and 41st Holly Archer 28.51. The race was won by Senbere Terefi of Ethiopia in 25.51. 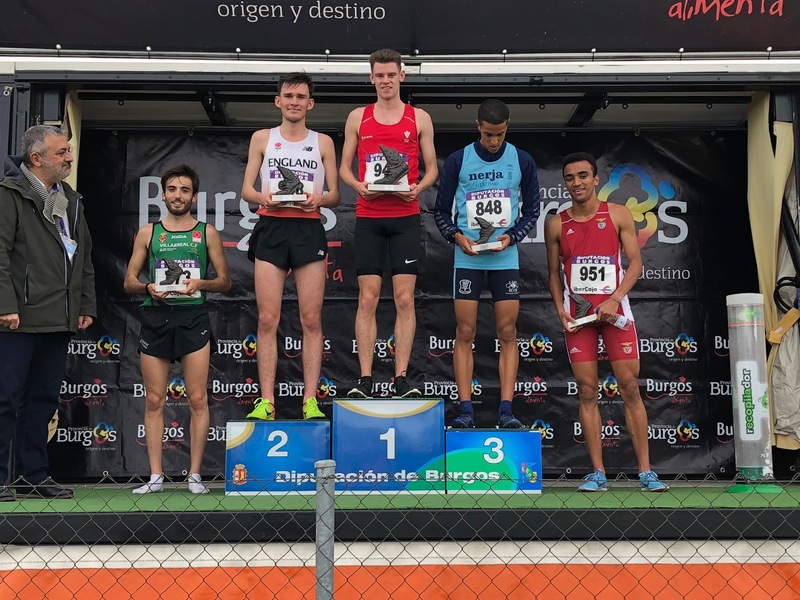 The Senior Men were also up against stiff opposition with the top 10 home African, the winner being Jacob Kiplino in 25.10 while first Brit in this race was Andy Vernon 12th, 26.14. First of the England athletes was Kieran Clements 27th in 27.05, while Will Fuller finish 33rd in 27. 11 and Tom Austin placed 67th of the 176 runners with a time of 28.24. Unfortunately Jack Gray didn’t make it to the start line.